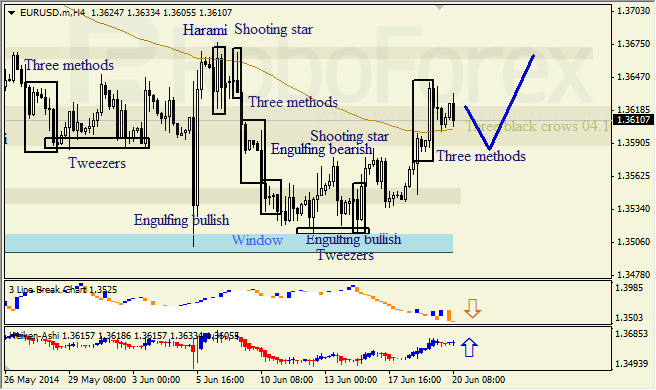 At H4 chart of EURUSD ascending impulse is continuing after bullish engulfing pattern. Tweezers had appeared near Window. Three-Line break indicates declining correction. Three methods and Heiken Ashi candlesticks confirm ascending trend. 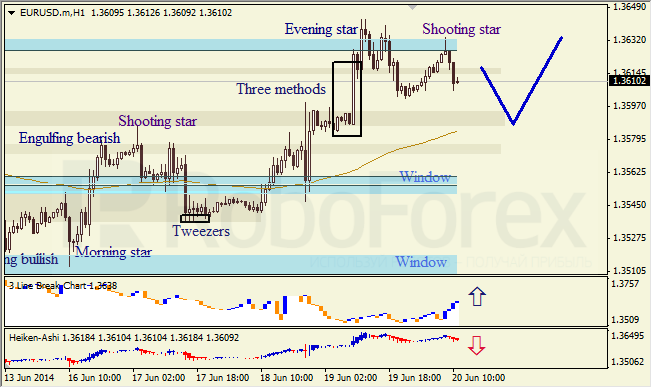 At H1 of EURUSD we can see sideways action, upper Window is considered to be a resistance. Three-Line break chart indicates ascending movement, Heiken Ashi candlesticks and Shooting star confirm continuation of correctional bearish move. 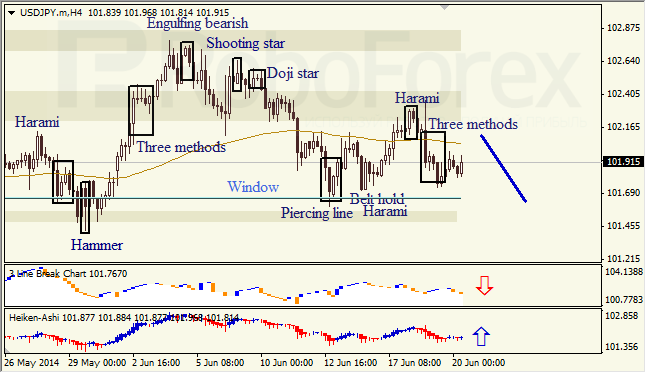 H4 chart of USDJPY indicates bearish trend. Three methods and Three-Line break confirm descending correction up to support levels. Heiken Ashi candlesticks indicate probability of bullish pullback. 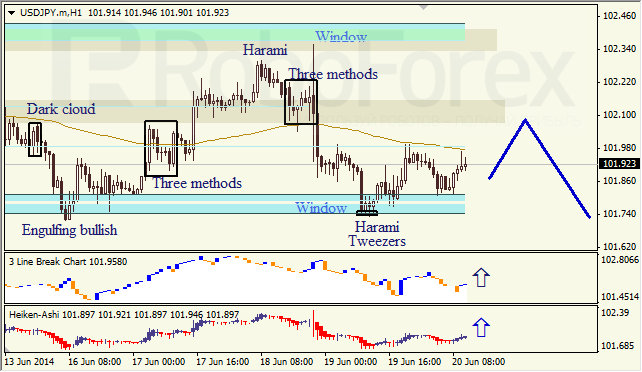 At H1 chart, we can see sideways action near the lower Window area. Harami, tweezers, Three-Line break and Heiken Ashi confirm ascending destination.